Today is guest catblogging day. 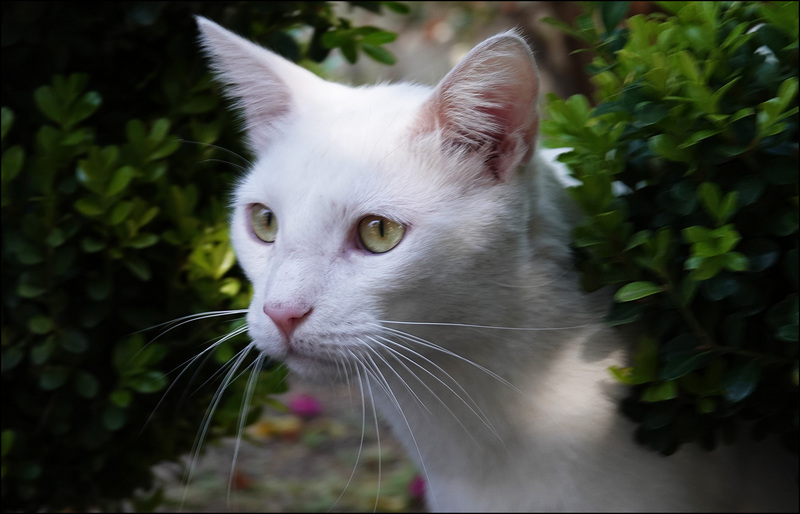 This lovely white cat lives across the street from Thomas Starr King Middle School in Los Angeles, my mother’s alma mater. Here’s a blurb about King for all you non-Californians who have never heard of him. 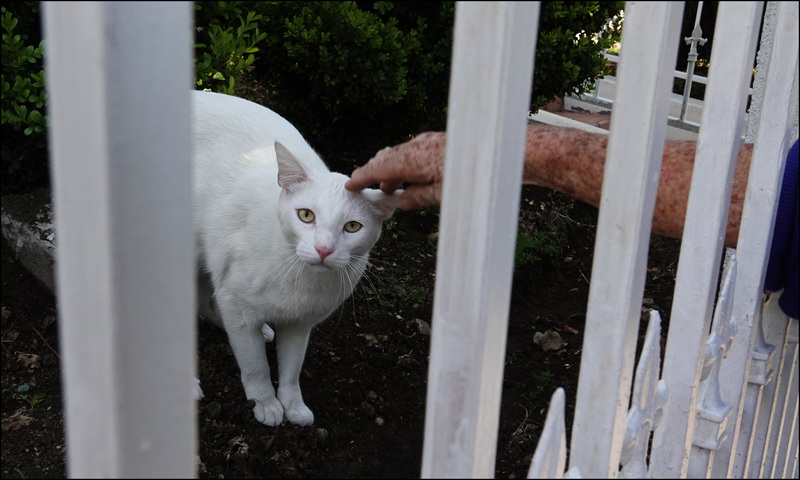 In the second picture, the freckled arm reaching out to scratch the cat’s head is, of course, my mother. Who else would it be?